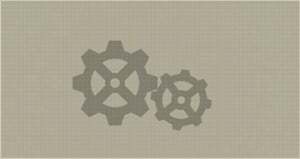 Simple Gadget is a Crafting Material in Nier: Automata. A gadget so simple you don't know what it's for. Forest Zone: Royal Chamber. Treasure point in the cradle where the baby king was before. City Ruins: Near Factory. 4th floor of the building that you first come out on after the prologue. City Ruins: Near Factory. On top of the Engels saw. City Ruins: Near Tower. Treasure point on the stone archway reachable by floating from the tower. Forest Castle: Front . Right below the access point. Drop down in the direction of the castle. Forest Castle: Front. First multi-tiered room inside the castle, bottom floor. Resistance Camp. Right in front of the fence, on the way to the back of the camp. Factory: Entrance. On the ground under the bridge leading to the city. City Ruins: Near the Tower. Go to the commercial facility across the bridge, near the entrance to the lift. City Ruins: Near the Tower. Just behind the wall with the moveable cube on the way to Pascal's village. City Ruins: Found with Dynamic Scanner in the center of the collapsed area not far from a building fallen on its side. Park Ruins: Attraction Sq. Next to the clown Shopkeeper Machine, by the overturned kart next to the gate. Pascal's Village. On the way to the gate that leads to the forest area. Desert: Camp. Inside the small cave over by the Multi-Tier Types. Desert: Housing Complex. In the alley leading to the area where you encountered the Adam for the first time. Desert: Camp. Inside the tunnel at the northeast section of the underground area. Go to the City Ruins: Near Factory Access Point and turn right, running into the bottom floor of the tall building you first start out on. Go up three flights of stairs, and then turn left. If you have an Auto-Collect Item chip, you can simply hug the wall and collect the item through the wall. If not, you'll have to go towards the hole in the outside wall, jump out of it, and keep turning left in the air, until you enter a different hole on the same floor on the other side of the wall. A total of 20 Simple Gadgets required for all upgrades. One of the few materials that can't be bought at any point of the game. I found one in the resistance camp while scanning, it was to the right of Anemone by the fence gate. Fpund one in the oasis. 1x Complex, 2x Elaborate, 3x Simple Gadget as reward for hacking challenge, 40 finished games(route B). Found one in the mall, scan between the stairs and waterfall. You can find one near the seller in Park Ruins: Attraction Sq, go to near gate and it would be between it and truck. You can find one more at the resistance camp by scaner: after teleport come to Anemone, turn right and you will see a stretched fabric, under it there would be one. On the corrupted PC version don&apos;t waste your time farming the City Ruins: Near Factory on the 3rd floor building as nothing spawns except starting the game from the title screen. The gadget drops about once every 10 times at the Forest Zone: Royal Chamber cradle. Found one at the gate between pascal&apos;s village and city ruins: tower. Coming from the village it is on the left, interior side.